Can I get a Witness to the Grimy Gospel? I Sharpen My Sword til the land of Milk and Honey. And when I die, they gon bury me a Saint! 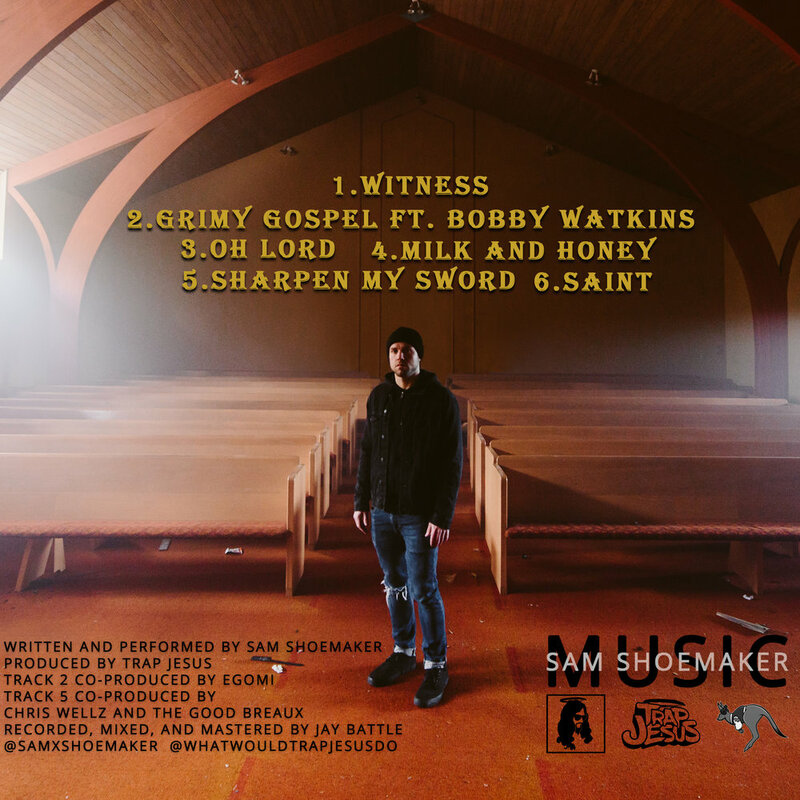 Sam Shoemaker and Trap Jesus would like to thank Bobby Watkins for the dope hook, Egomi, Chris Wellz and The Good Breaux from BounceGvng for contributing production, Jay Battle aka Qreepz for recording, mixing and mastering, Steven Trueba for making some amazing music videos, Justin VanSanden for the cover art an all the other help, and everyone who is listening, sharing and following the movement. Thank you all so much! Trap Jesus Loves You!